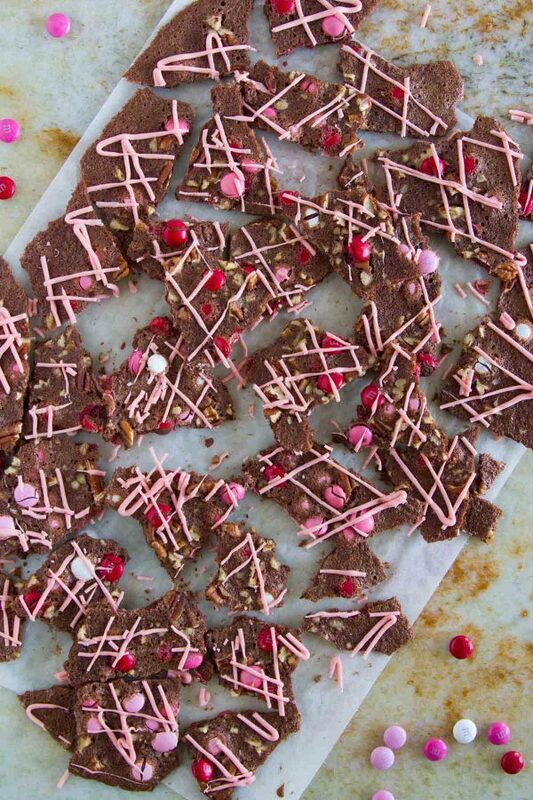 This Valentine’s Brownie Bark is a chocolatey treat that you can’t put down. It’s super easy to make and chocolate lovers will be in heaven! 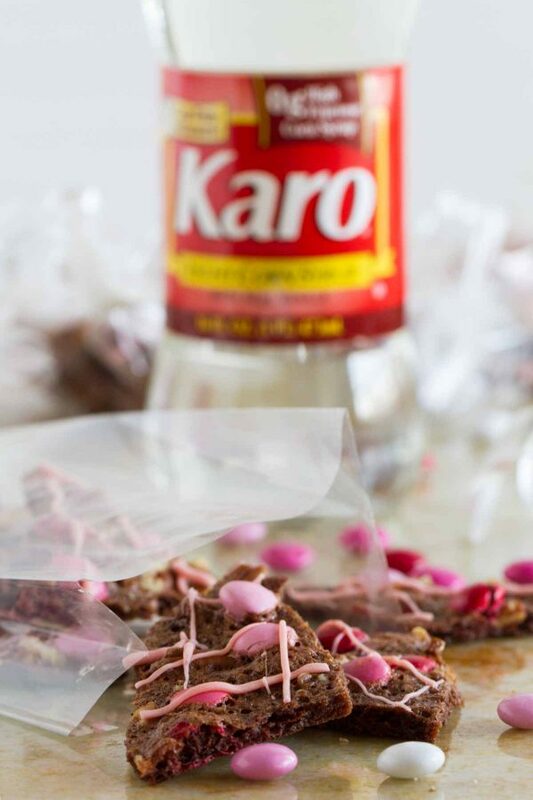 I am a Bake a Little Extra Blog Ambassador and this post is sponsored by Karo® Syrup. I’m so glad to be able to work with companies and organizations that I truly believe in. Thank you for supporting them, too. I find it strange that my tastes are still changing. I get that the things we like to eat will change as we grow up from kids to adults. But you would think that at my age, something I liked 5 years ago would still be something that I like today. 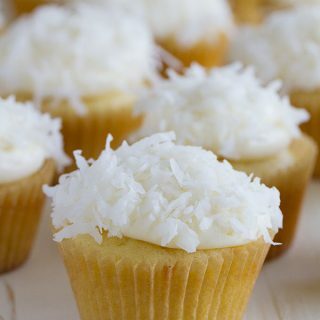 When it comes to baked goods, 90% of the time, you can count me in the soft and chewy camp versus the crispy camp. I don’t normally choose the crispy cookies. And brownies? I used to always go for the center piece. I’m not complaining about that now, though, because I have the perfect dessert/snack for that person that can’t get enough of the edges. Have you ever had brownie bark before? It tastes like brownies, but it is thin and crispy and addictively delicious. It’s kind of like a brittle, but it tastes like brownies. There is nothing wrong about a little crispy brownie bark, that’s for sure!! 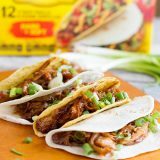 I have often bought this addictive snack at the grocery store of the big warehouse store, but did you know that it’s super easy to make at home? 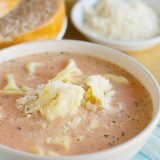 It’s also a lot tastier that way and all it takes is a few ingredients which you probably already have at home. 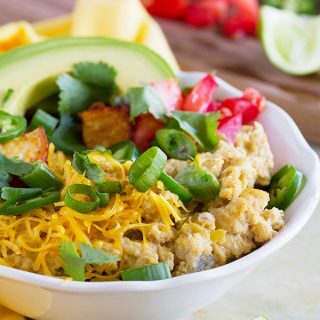 In a few simple steps, you could be munching on this before you know it! 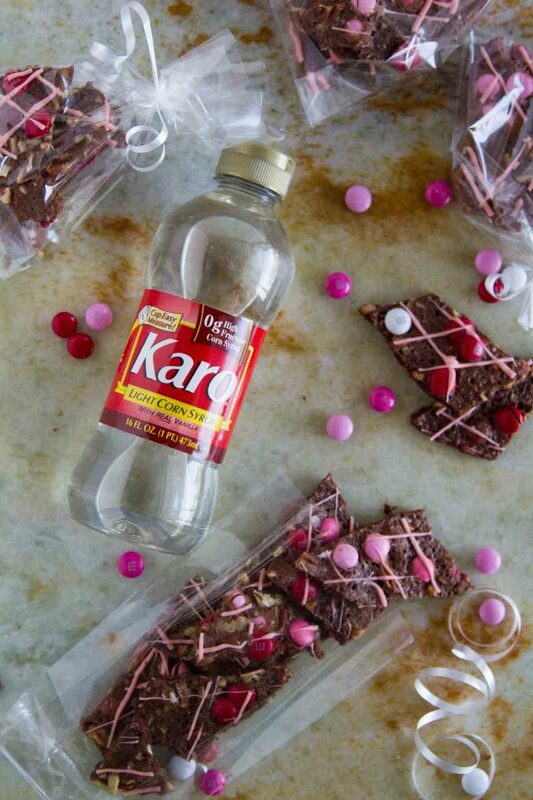 I used a Brownie Bark recipe from the Karo® Syrup Website. 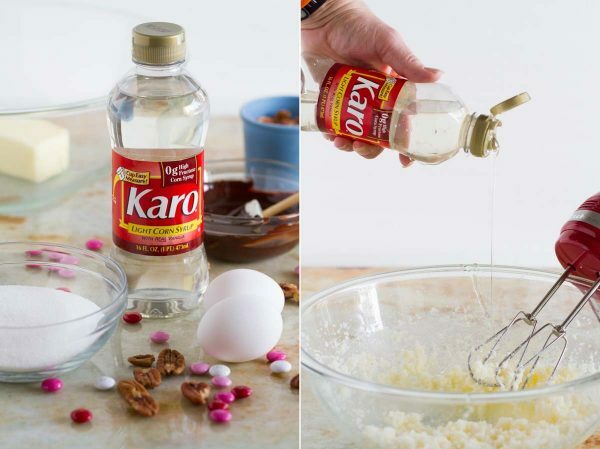 I was totally intrigued by this recipe because it uses Karo® Syrup. After making this, I am a convert. The corn syrup adds to the bark texture, and makes sure it doesn’t crumble or fall apart on you. 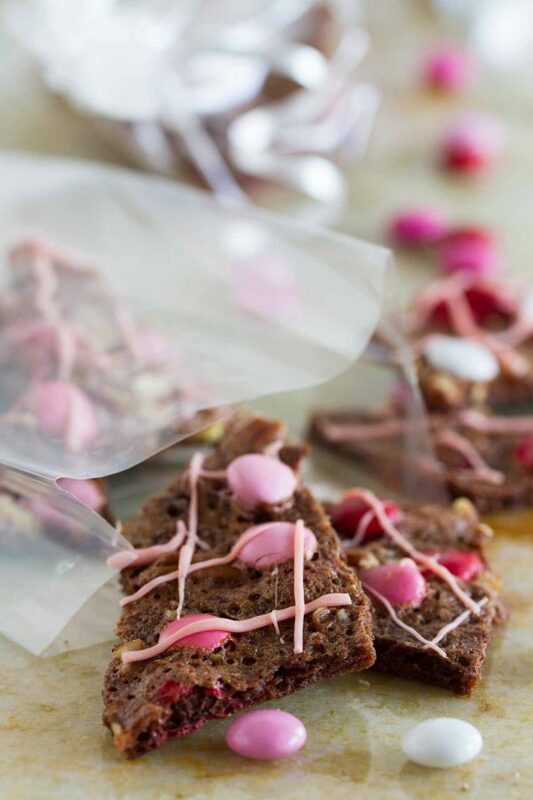 Since Valentine’s Day is right around the corner, I thought I’d give my brownie bark a holiday spin with pink and red candies. And to make it even more festive, I drizzled some vanilla candy melt over the top. 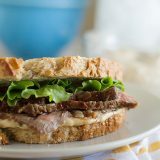 This recipe is easy and perfect for sharing with friends. 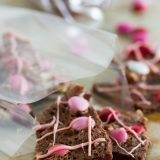 One recipe makes 2 baking sheets full so there is plenty to go around and share with your valentines or send with the kids as a classroom treat. Put some in a little cellophane bag and tie it up with a ribbon and you have an easy and tasty gift to give away! Some for you, some for a friend – I can’t think of a better way to get in the mood for Valentine’s Day! 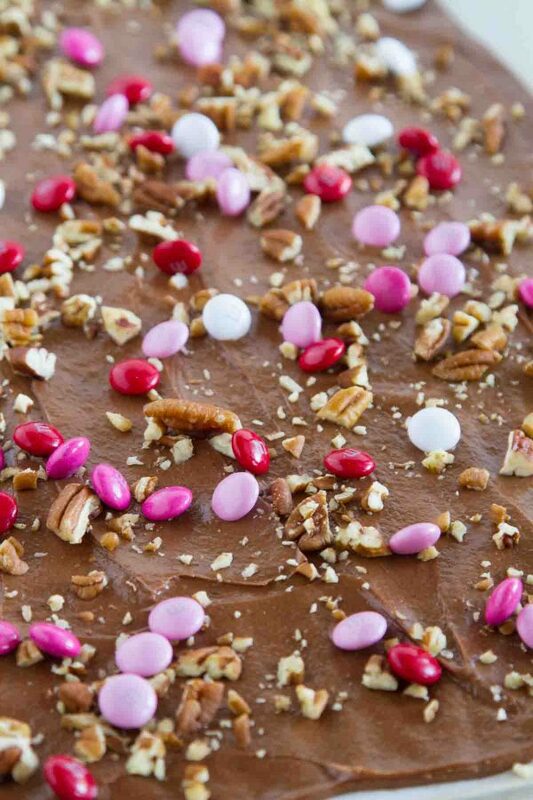 This Brownie Bark is sure to bring a smile to anyone’s face! Preheat the oven to 350ºF. Line 2 baking large baking sheets with parchment paper or silpat liners. 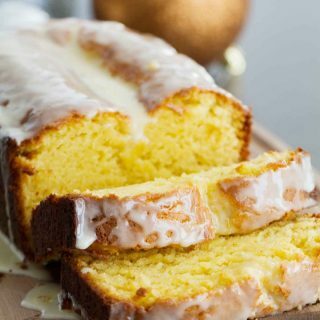 In a large bowl, beat the butter and sugar together until light and fluffy. Add the corn syrup, vanilla and salt and blend completely. Add the eggs, one at a time, beating well after each addition. Stir in the melted chocolate, then fold in the flour. Pour half of the mixture onto each of the prepared baking pans. Use an offset spatula to spread the batter into a 15×10-inch rectangle. Reserve 1/3 of the candy coated chocolates. 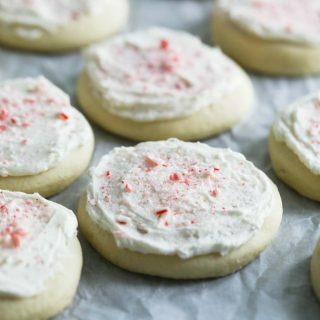 Sprinkle half of the remaining candies over each of the baking sheets. Sprinkle the chopped pecans. 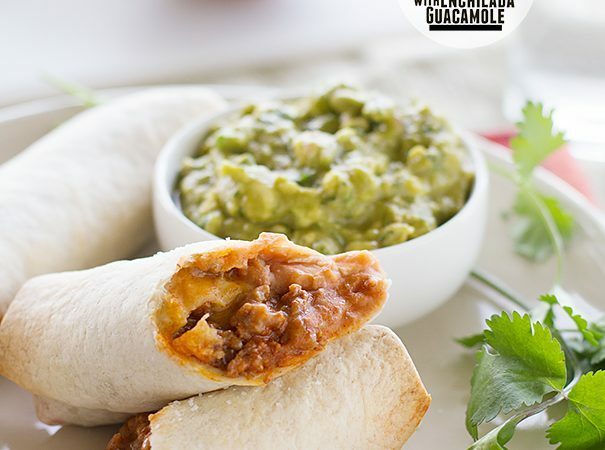 Place the baking sheets in the oven and bake for 25 to 30 minutes, rotating the pans at least once during the bake time. After the bark has been in the oven for 10 minutes, sprinkle the remaining candies over the tops evenly. Continue to bake until the edges look browned and the brownies look dry. Be careful not to overbake. Remove from the oven. Transfer the bark to a cooling rack, using the parchment paper. Allow to rest for 20 minutes, until completely cooled. Place some of the candy melts in a disposable zip top bag. 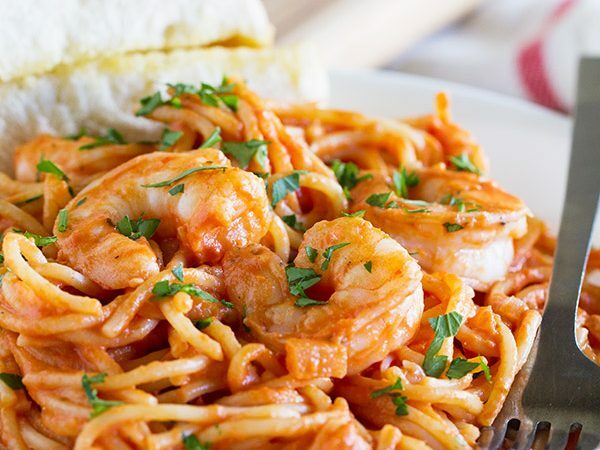 Heat in the microwave in 30 second intervals, squeezing the bag after each interval, until it is melted. Cut the corner of the bag off and drizzle the candy melt over the top of the bark. Once completely cooled, break into pieces with your hands.